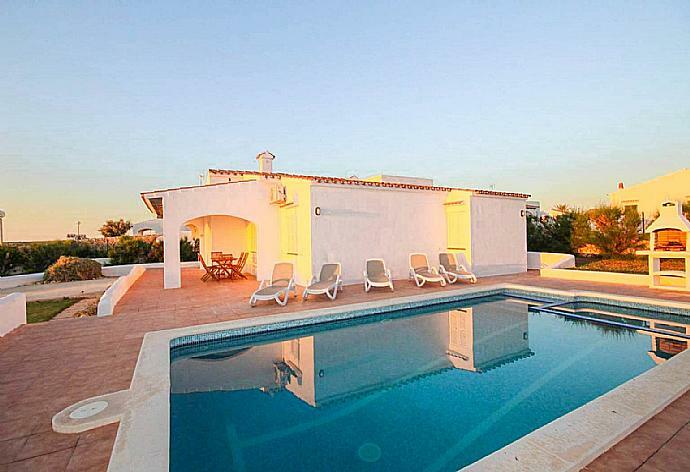 Villa Gloria is located in Cala en Bosch on the Spanish island of Menorca. 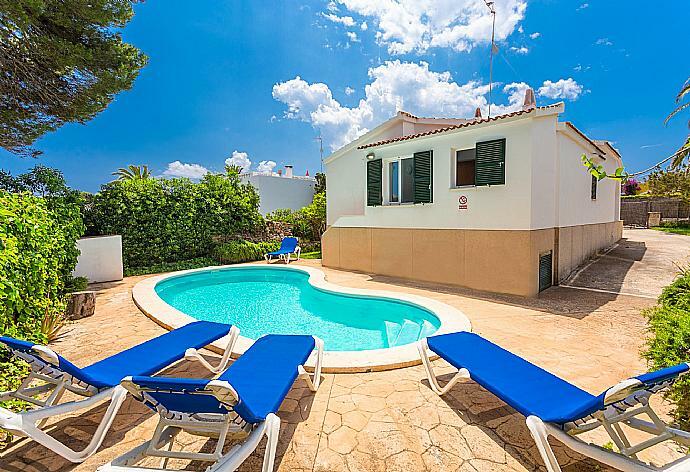 This detached vacation rental property sleeps up to 4 people with 2 bedrooms, 2 bathrooms along with private swimming pool. The villa is walking distance to the beach and restaurants. Even better than advertised. Villa Gloria was perfect for our family vacation. The setting was perfect. The facilities are better than advertised. Beautiful well kept pool, lovely garden, nice Bbq and the list goes on. 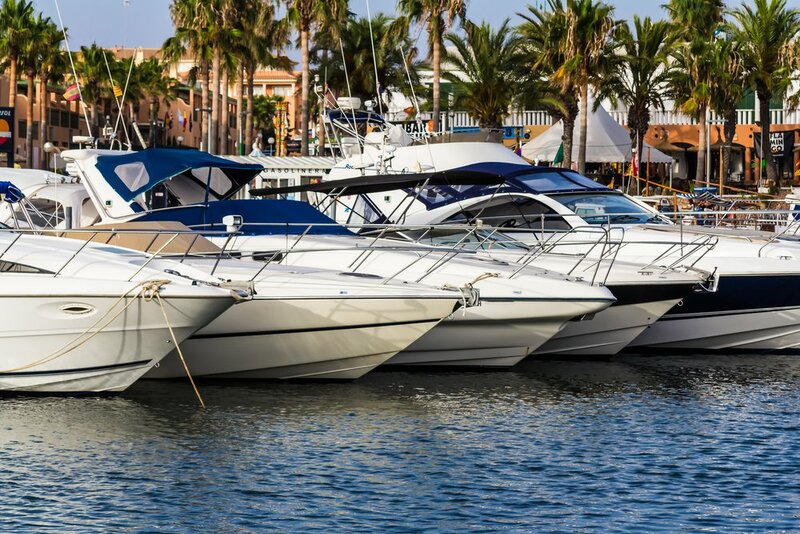 Menorca is also a lovely town to explore. Cute Villa for my small Family. This Villa was exactly what we needed. Waling distance to Bar, Restaurants, Supermarket and Sea to name a few. We will come back next year to this villa. Villa Gloria is in a very convenient position for restaurants and supermarkets. Biting insects was a bit of a problem for some of us. The villa was excellent, homely and well presented and maintained. The only disappointment was the demolition of the nearby Goody Goody entertainment centre. Although outside of anyones control, the villa would have been ideally located to use this facility. Also, we did suffer a lot of mosquito bites as I think they were prevalent in the adjacent large pine tree. However, as previously stated, the villa was excellent and I would book this villa again. Thank you for arranging our stay and please thank the owners for us. We had a great holiday and we were fond of the villa. It was in a great location and a good size with everything we needed and we used it as a base to explore the island. 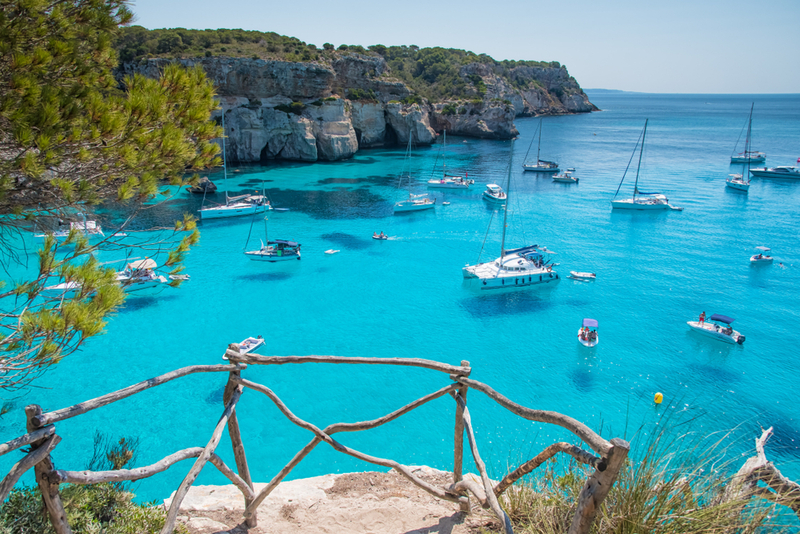 We went to the most amazing beaches and loved Menorca. Just great, thanks for all. 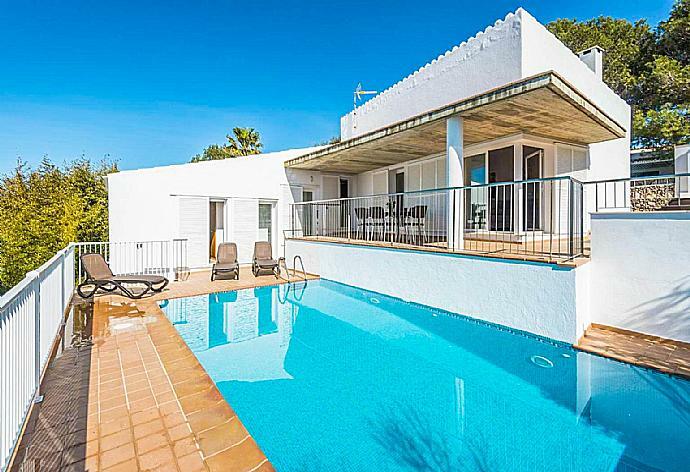 We've been to Cala'n Bosch, Menorca, many times and we love it, but this self-catering holiday had an extra dimension - a cosy, well appointed villa just a short walk from the resort's beautiful Marina, with its large array of restaurants and bars, and its nearby beach. Having your own small swimming pool is an added bonus. There is even a small library of books, presumably left by kindly previous holidaymakers. Nice kitchen and dining space. Having the pool was ideal for us and the kids. Especially to cool off in the afternoon heat! Villa Gloria was booked Today!